Artisans Hand : an artisans' cooperative store located in downtown Montpelier; many of the artisans live in our or in other nearby towns and welcome visitors to their workshops. We can arrange for you to meet one or more of the potters, glass makers, bread bakers or other craftspeople who reside in the area and learn about their work. Country Bookshop : excellent used and antiquarian bookshop on the square in Plainfield Village . Bear Pond Books : corner of State & Main Montpelier. 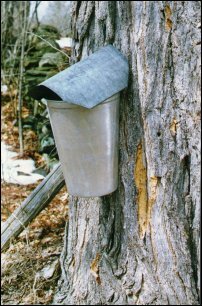 Bragg Farm : maple syrup and local craft source on Route 14 in nearby East Montpelier; Jay just loves their maple "creemies". Cabot Creamery : home of the prize-winning cheddar in next-door Cabot; you can tour their cheese plant and sample all kinds of other products. Maple Valley Cafe: early breakfast, lunch, and take outincluding wraps, pizza, great iced coffee, groceries and gifts on Route 2 in Plainfield Village. Plainfield Food Coop: lots of healthy and organic produce and supplies in downtown Plainfield Village; open to non-members. Rainbow Sweets : cozy bistro in Marshfield Village whose brioche have been written up in the late Gourmet Magazine and where you might share table space with local writers like David Mamet; Bill, the proprietor, loves to chat. Ben and Jerry's Factory tours and samples! Groton State Forest: the largest (25,000 acres) state-owned forest land in this part of Vermont with numerous opportunies for hiking, fishing, boating, horseback riding, and swimming; for a short hike with a great view, try "Owls' Head". Marshfield Reservoir: plenty of room for swimmers, fishermen, and waterskiiers. Winooski River: the headwaters of Vermont's biggest river are canoeable and fishable for trout in season. Fairbanks Museum and Planetarium : one of America's better small museums in St. Johnsbury, 25 miles away on Route 2. Kent Corner: historical district of old homes and mills in next-door Calais. Old Schoolhouse Common: Marshfield's former school which now houses the town offices, public library and some business incubator spaces. Downhill: We are within an hour's drive of Burke Mountain , Mad River Glenn, Sugarbush and Stowe . Cross-Country: Do it here at Pie in the Sky on the groomed snowmobile trails. Vermont Association of Snow Travelers (VAST) a major branch of the VAST-maintained trails runs right across our land, connecting with a network leading from the Massachusetts border to Canada. Goddard College : this famous pioneering "progressive" educational institution (and original home of Phish in Plainfield often hosts cultural programs, guest speakers and other public events. is the only year round institution of its kind in New England. Actively preserving and promoting the Celtic culture, language, arts, dance and music. This unique Vermont school preserves the traditions, culture, and languages of the Scottish and Irish immigrants that settled here in Vermont. Bagpipe classes. Unadilla Theatre : wonderful longtime summer theatre tucked away on a back road in Calais; just ten minutes from home.